Research shows that each item on your plate is vying hard for your attention. (Imagine a more literal version of the Hunger Games!) Naturally, we give our foremost attention to the most delicious item on the plate. What's more, if one food item is tastier than the rest by leaps and bounds, we tend to flat out reject the less tasty foods, meaning they're far more likely to end up in the garbage bin than happily digesting in our stomaches. Basically, the reason it can be so difficult to make yourself like vegetables is that most vegetables just can't compete with more delicious foods. This makes them the hardest foods for most people to stay consistent with when attempting to improve their diets. Even for me, if my nutrition gets a bit slack, vegetable consumption is always the first thing to fall off. This principle works just as well when you're trying to get kids to eat vegetables. When studying school lunches, research shows that kids who have the opportunity to eat a burger and broccoli tend not to touch the broccoli much. Compared to the burger, the broccoli feels like a waste of time to the child... and probably to most adults too. 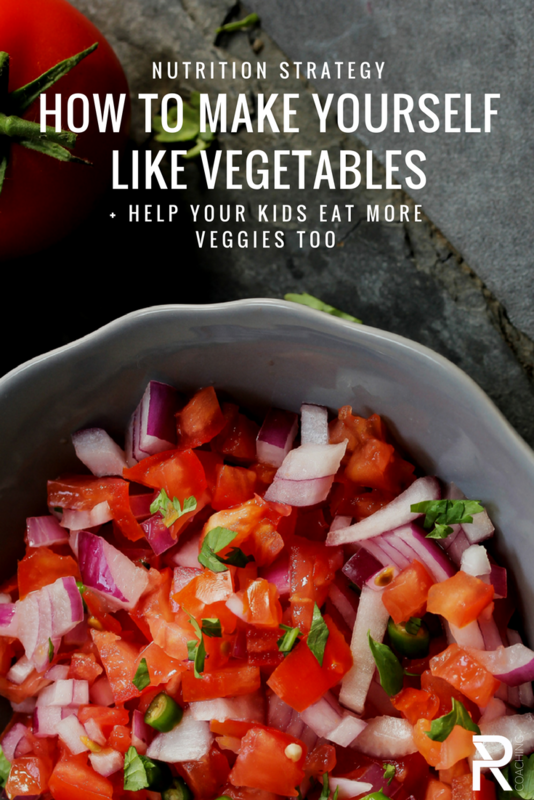 But, when veggies are paired up with less popular main dishes, kids will eat more of them. Put on your chef's hat and boost your veggie game. Find ways to enhance the taste of your vegetable dishes so they can compete more effectively. 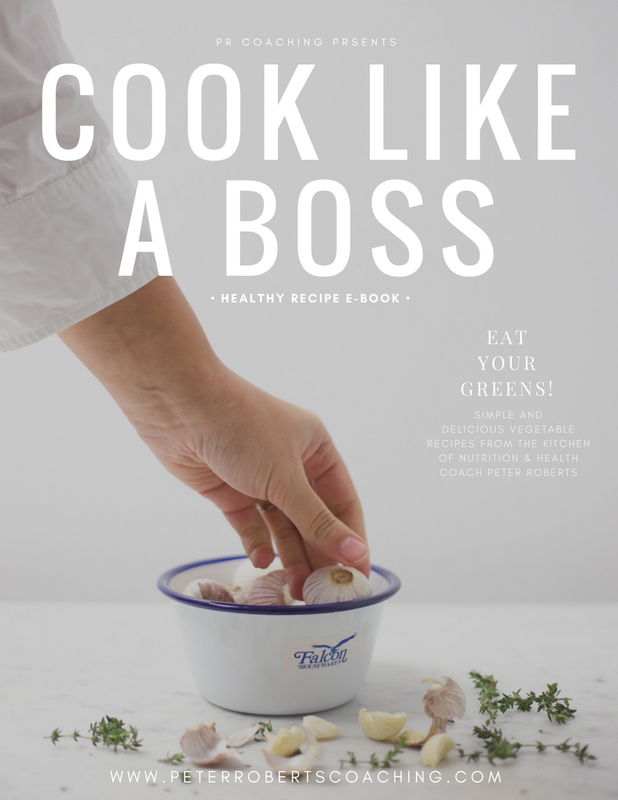 Check out my favourite vegetable recipes in my FREE e-cook book. They're all pretty quick and easy! Make a habit of cooking one-pot meals like stews, stir fries, etc... where veggies are already mixed in with all the other incredible flavours you meld together. Schedule in some private quality time with your vegetables.... By which I mean, serve and eat them first. In one study, this tactic quadrupled the amount of veggies eaten by school children. Eat your veggies before any other food on your plate, or better yet, don't add the other food to your plate until your veggies are consumed. Then go back to the kitchen and get your portions of the rest of the components of your meal. Plan ahead. This starts when you go grocery shopping and ends with effective food prep strategy. As I always talk about, you need an easy "food procurement" strategy with as little friction and room for error as possible. This is diet logistics 101. Figure out which vegetable dishes you want for the week and how much you need to buy so it lasts for the entire week. Second, I recommend writing down what your main meals will be for the upcoming day. Where will your veggies come from from breakfast, lunch and dinner tomorrow? Yes, that's right... I said you should be eating veggies at breakfast too. Sorry. Increase awareness by thinking like an engineer. Do you know when do you typically fall off when it comes to eating healthy vegetables? What are the patterns? When eating out? At the end of the week? On the weekend? When you get crazy busy at work? (All of the above?!) Engineers conduct a "failure analysis" to figure out where things are breaking down in their plans, and your diet will benefit if you do the same. After an engineer determines the problems, they can start to work on a solution. 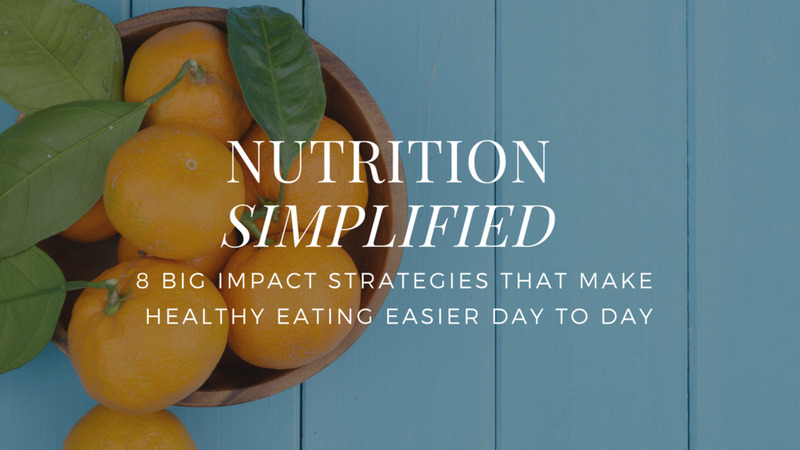 For nutrition purposes, I recommend brainstorming ideas to find one simple step that would help you improve your problem situations by about 50% as a way to get started.